Complete floor and wall refurbishment to the inspection pit at Arriva Trains depot at Canton. Arriva Trains Wales operate the Wales and Borders franchise running urban and inter-urban passenger services to all railway stations in Wales and certain ones in England. 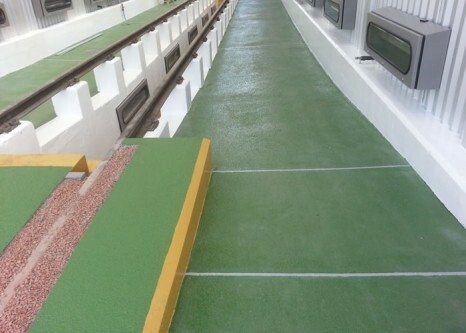 Q Flooring Systems Ltd refurbished the train care facility in 2008 and 2009 and earlier this year Centregreat Rail Ltd were appointed as the main contractor to carry out further works to the inspection pit. After a lengthy tender process Q Flooring Systems Ltd were appointed to carry out the flooring works to this area. The works comprised of a complete floor and wall refurbishment to the inspection pit area. The installation teams from Q Flooring Systems Ltd prepared the new and existing surfaces by dust controlled diamond grinding. The pit walls were coated with Resin Surfaces Resuseal water based epoxy as a first coats and a Resin Surfaces Resuseal polyurethane top coat. The flooring system comprises of a MMA (Methyl Methacrylate) build up system fully blinded with aggregate and top coated with Flowcrete Deckshield LXP polyurethane. 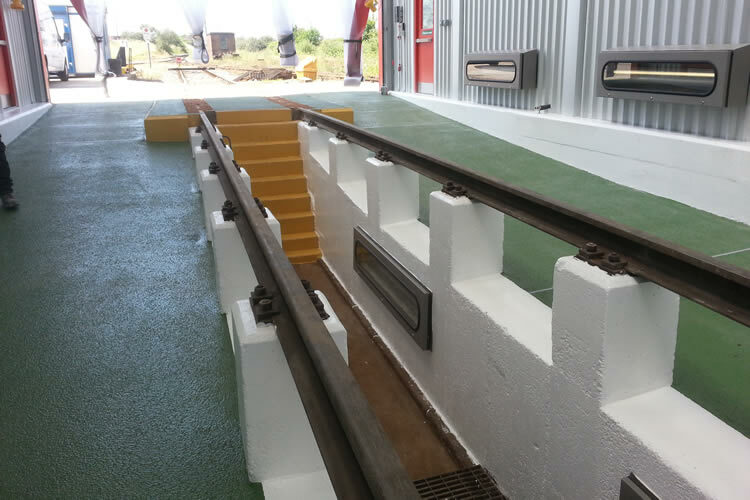 Both systems were selected for their durability, anti-slip and their ability to withstand the demands of a live train facility. Q Flooring Systems Ltd have also carried out similar works at the other Arriva Trains care facilities at Holyhead and Machynlleth.